Multi Coloured Single Ended Spray created using oriental lilies, carnations, roses, september flower, spray carnations and striking foliage. 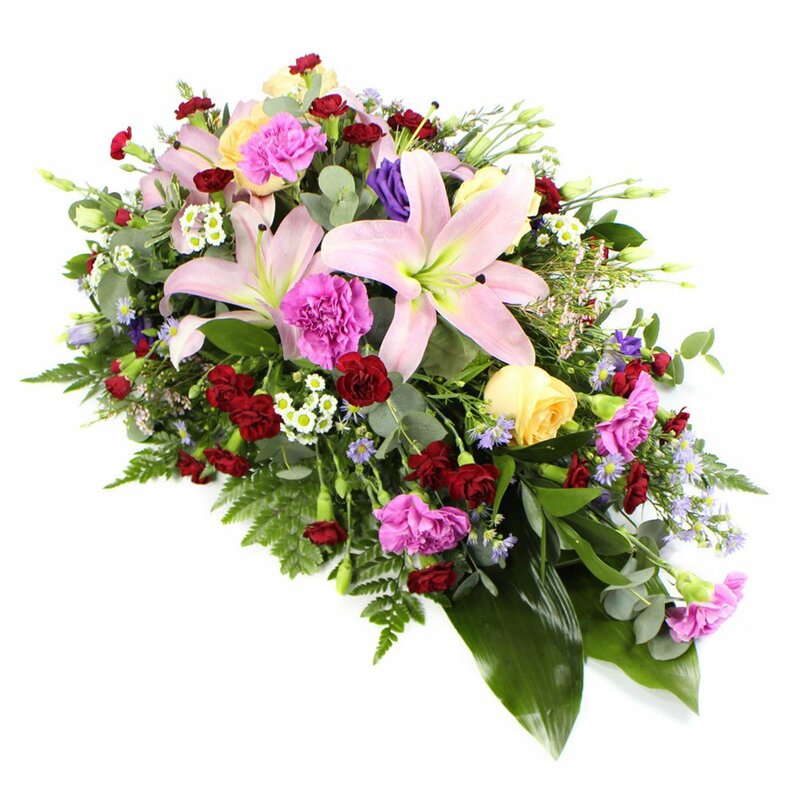 Flowerscene deliver flowers to Aberdeen and surrounding areas. If preferred this spray is available for collection from our shop.